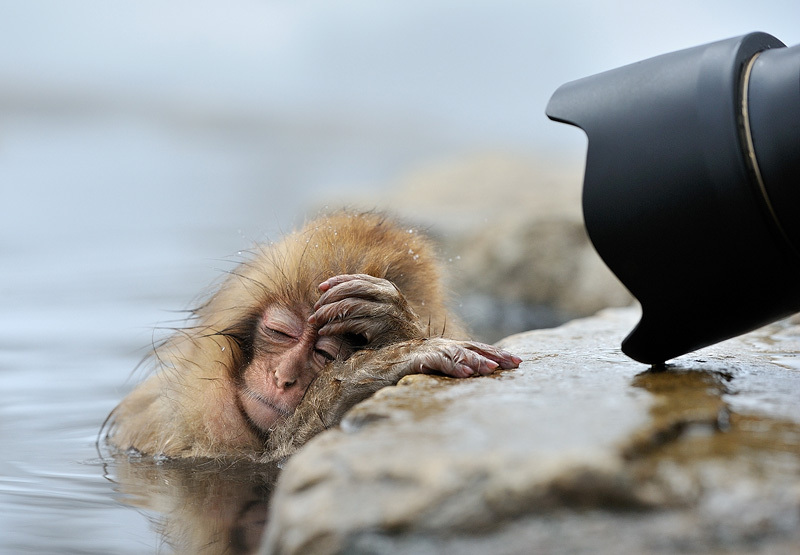 Japanese macaques (Macaca fuscata), also known as snow monkeys, like to bathe in the warm water of natural hot springs. With outside temperatures below freezing and a constant water temperature of 42C, who can blame them? These photogenic animals have become used to humans wanting to photograph them, so they are not shy and stay very relaxed in human presence. This little one however seemed to think 'Oh no, not again!' when a photographer tried to shoot a closeup.